Manchester United’s move for Alexis Sanchez is stalling as Armenian international, Henrikh Mkhitaryan is reportedly not too keen on making the move to the Emirates stadium. Reports have suggested in recent days that we are willing to pay up to £35 million for Sanchez a well as offer Mkhitaryan in a player plus cash deal. Speculation intensified yesterday when the 28-year-old playmaker was left out of the squad to face Stoke City, with Jose Mourinho admitting that he wasn’t left out during to tactical reasons. Ever since joining United in a £27 million deal in the summer of 2016, he has failed to nail regular first team football under Jose Mourinho and could be set for an exit just 18 months after making the move from Borussia Dortmund. The player began the season well but has struggled to reach the levels he showed and it is believed that he has suffered a breakdown in his relationship with Mourinho. However, he is not sold to the idea of playing for Arsenal, according to El Mercurio, a Chilean news outlet. The player is concerned about the prospect of not playing Champions League football, the Gunners league position and the fact he will have to take a pay cut to join the 13-time English champions. 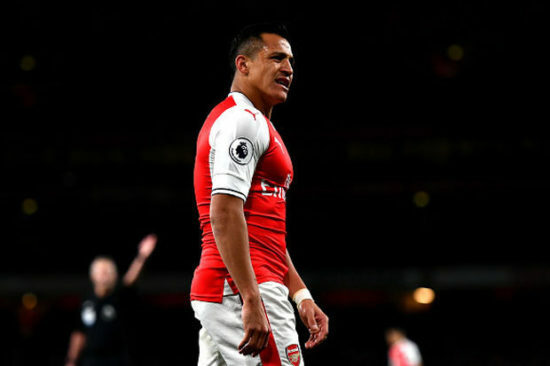 Sanchez has reportedly agreed a £350k weekly deal to move to Old Trafford, as our bitter rivals, Manchester City, originally frontrunners for his signature have pulled out of a deal as they don’t want to match that amount as it could cost unrest in the dressing room. The Sun understands that both Arsenal and United want Mkhitaryan to be part of the deal, but the player’s reluctance to move to North London could hamper the deal. Chelsea are also rumoured to be interested in the services of Sanchez, but don’t want to pay his agent’s £5m negotiating fee.